Editor’s Note: This article was previously published on Pixelkin.org. Make sure to check them out when you get a chance. 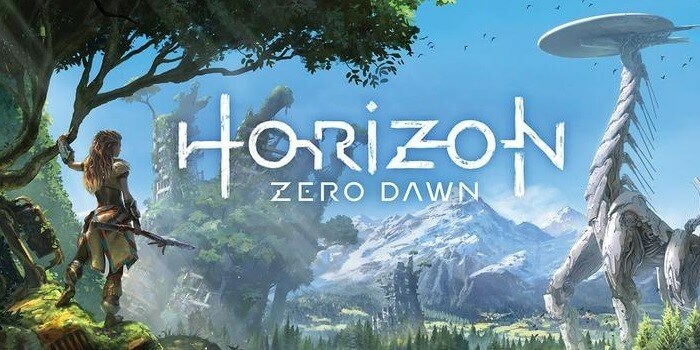 Horizon: Zero Dawn has already been delayed, but that didn’t stop Sony from presenting a new gameplay demo for the game during their E3 2016 Press Conference. The game was shown off a year ago at E3 2015 and it wowed the crowd with its unique take on a post fall Earth. We were introduced to the young girl Aloy and we had a chance to watch her fight a giant mechanical dinosaur. We had no idea WHY everything was happening, but to see an archer fend off a robot T-rex looked worth the price of admission all on its own. Fortunately, though, the developers have given us a greater understanding of the story in recent weeks. As we understand it now: Aloy is an outcast. She arrived at a young age with no explanation and was raised by a man in her adopted tribe. Eventually, for reasons we do not know, it is decided that she is no one and they force her to leave. After that she embarks on a quest to find out where she came from and in turn she appears to find out what happened to the world of the “old ones.” (Spoilers: Old ones refers to us.) While on this quest shenanigans ensue. I’ll admit that I am not ready to take the plot seriously yet, but I am very excited to play this game nonetheless. Sony also gave us a look at a section of gameplay during their E3 2016 press event. The demo was less than ten minutes long, but we saw her navigating a vast open world teeming with life (both mechanical and flesh). She is as agile as ever, but this time around we saw her using a special earpiece to scan nearby enemies for weaknesses and use a special staff she has to help “override” the mechanical creatures she finds. At one point she is even able to turn one of the creatures into a mount. The demo culminates in a battle with a creature called a “corruptor.” The fight is difficult and requires a lot of careful dodging while switching out weapons and different kinds of arrows. The combat was tense and the music and sound design helped maintain the intensity as well. Horizon: Zero Dawn will be released on February 28, 2017. We will have more news as we get closer to release so keep your eyes on Pixelkin.org as we get closer to release. The Last Guardian Finally Has a Release Date!